A generator is one of the most useful and versatile pieces of equipment every homeowner should have. 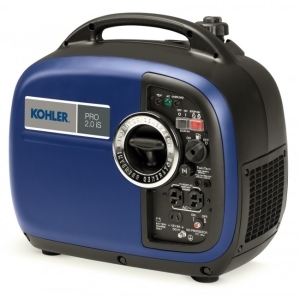 We stock the Kohler Pro2.0iS generator. The lightweight, compact design comes in at only 44 lbs. The inverter’s technology produces strong, clean power with minimal fuel consumption. When the power goes out this generator will help keep your home’s vital electronics powered and operational. With increasing threats of mother nature throughout all seasons, a generator is a must have addition to your home. Come in today and speak with a knowledgeable representative about your home’s generator needs.